US Internet giants like Amazon and Ebay dominate online trade, also in Germany. 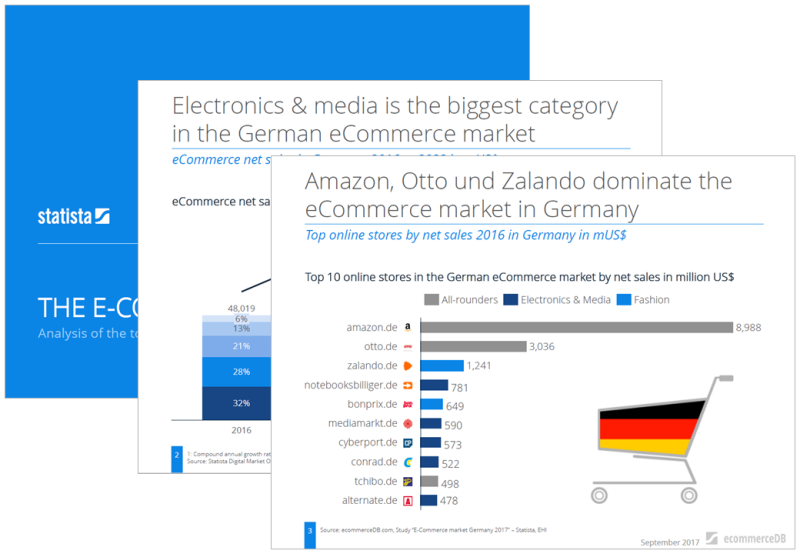 But what other companies play a role on the German eCommerce stage? Who wins the online trade competition in individual product categories and how are revenues going to develop in the industry as a whole? • Net sales in the German eCommerce market are going to rise at an annual growth rate of 7.8% from 2016 to 2022.